[S183] Keith Colbran, "Tegel Family," e-mail to Robert Mote, September 2000. April 1877 Eduard Tegel was a passenger aboard The Ship Charles Dickens which sailed from Hamburg, GermanyG, in April 1877 and arrived in Brisbane, Australia on 4 September 1877.
section, single females at the front, married couples and their families in the Centre and single males at the rear. All told there were 510 passengers on board made up of :- 6 fully paid, 13 assisted, 370 free and 119 free nominated. During the voyage there were 2 males and 3 females born, 1 marriage and the death of 1 single female , 1 male and 1 female child and 5 male and 2 female infants. Each person was allocated a sleeping space of 6 feet and 18 inches and if under 12 years of age only half that size. The conditions were cramped to say the least. The cargo on board included 50 cases of champagne, 130 cases of mineral water, 190 cases of beer, 27 bales of hops, 5 cases of cigars, 8 drums of caustic soda, 20 barrels of silicate, 10 cases of toys, 400 boxes of nails, 120 sacks of fine salt, 1346 sacks of coarse salt, 20 tons of rock salt and 10 cases of coffee. She left Hamburg on the 6th April 1877, sailed directly to Queensland around the Cape of Good Hope and did not touch at any port during he voyage. She arrived in Moreton Bay on Friday 10th August 1877.
anchored of Cowan Cowan; July 17, eleven A.M., Norseman. s., took us in tow and towed us across the Bay; anchored at Bar at two P.M., westerly winds. hoist the yellow flag and has recommended that the ship and passengers be placed in quarantine. It is expected that "The Gazette Extraordinary" will issue orders today placing the ship in quarantine, and she will probably be towed over to Peel Island today or tomorrow. The Immigrants are mostly German, But we notice in the list a goodly sprinkling of Polish names. The ship Charles Dickens will be towed from the quarantine ground to the anchorage by the Kate, tomorrow. The single men, single women, and a few married people will be brought to town on Friday, by the Kate. A telegram was received in town yesterday stating that the steamer Kate had proceeded to the Bay for the purpose of conveying the German immigrants recently arrived by the ship Charles Dickens to the Brisbane Immigration Depot. We understand that a number of them will be sent up to the immigration depot at North Ipswich tomorrow, so those desirous of employing this class of Labor will have an opportunity of doing so. A number of single men and girls and one married couple are waiting engagement at he immigration depot. Some of the German immigrants by Charles Dickens arrived late last night. All the immigrants with the exception of ten married couples and two single girls have left the depot. It is pleasing to notice that nearly one hundred immigrants have obtained employment here in less than a week, and it augers will for the future of immigration to Queensland when this occurs in such exceptional hard times. A petition was presented to the Governor today against the further imprisonment of the Danish sailors, who were sentenced to a year's imprisonment for breaking quarantine from the ship Charles Dickens. [S2] Index of BDM records, NSW BDM, Place of Registration: Woollahra; Year: 1914; Number: 16303. Marriage John was married to Caroline Purcell. Marriage Caroline was married to John Casey. Married Name Her married name was Casey. 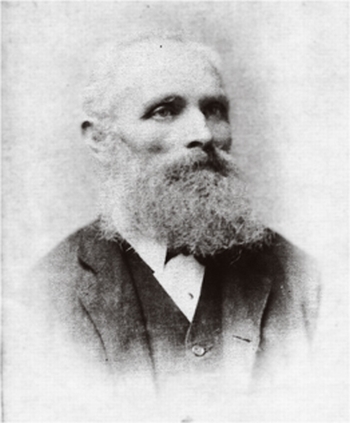 Birth 1830 Stephen Toohey was born in 1830 at Tipperary, IrelandG. Marriage 4 April 1853 Stephen was married to Mary Ryan on Monday, 4 April 1853 at Roman Catholic, Yass, NSW, AustraliaG. Death 18 December 1905 Stephen Toohey died on Monday, 18 December 1905. 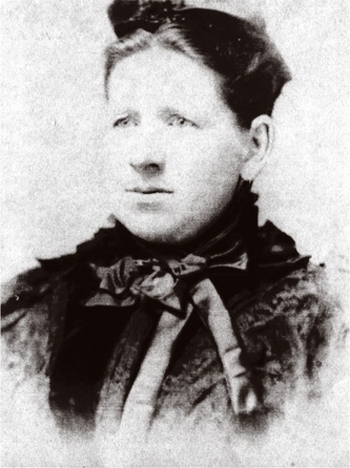 Birth 1831 Mary Ryan was born in 1831 at IrelandG. Marriage 4 April 1853 Mary was married to Stephen Toohey, son of John Toohey and Mary Cahill, on Monday, 4 April 1853 at Roman Catholic, Yass, NSW, AustraliaG. Death 20 January 1899 Mary Ryan died on Friday, 20 January 1899. Married Name 1853 As of 4 April 1853, her married name was Toohey. Birth 22 January 1854 Honorah Toohey was born on Sunday, 22 January 1854. Honorah Toohey was the child of Stephen Toohey and Mary Ryan. Birth 30 August 1855 Mary Anne Toohey was born on Thursday, 30 August 1855. She was the daughter of Stephen Toohey and Mary Ryan. He was the son of Stephen Toohey and Mary Ryan. [S2] Index of BDM records, NSW BDM, Place of Registration: Yass; Year: 1856; Number: 8571. [S2] Index of BDM records, NSW BDM, Place of Registration: Yass; Year: 1858; Number: 13775. Birth 30 July 1860 Stephen Patrick Toohey was born on Monday, 30 July 1860. [S2] Index of BDM records, NSW BDM, Place of Registration: Yass; Year: 1862; Number: 15360. April 1877 Anna Nothnagel was a passenger aboard The Ship Charles Dickens which sailed from Hamburg, GermanyG, in April 1877 and arrived in Brisbane, Australia on 4 September 1877. [S747] Eugenie Howard, "Anna and Eduard Tegel," e-mail to Robert Mote, April 2008. Birth 11 July 1862 Margaret Winifrid Toohey was born on Friday, 11 July 1862. [S2] Index of BDM records, NSW BDM, Place of Registration: Yass; Year: 1866; Number: 16872. Birth 13 June 1868 Jeremiah Toohey was born on Saturday, 13 June 1868 at Yass, NSW, AustraliaG. Name Variation 1868 As of 1868, Jeremiah Toohey was also known as Darby as shown in the NSW BDM Index. [S2] Index of BDM records, NSW BDM, Place of Registration: Sydney; Year: 1886; Number: 765. [S2] Index of BDM records, NSW BDM, Place of Registration: Yass; Year: 1870; Number: 19142. [S2] Index of BDM records, NSW BDM, Place of Registration: Yass; Year: 1873; Number: 21031. Birth 1801 John Toohey was born in 1801 at Tipperary, IrelandG. Marriage 1826 John was married to Mary Cahill in 1826. Death 5 January 1869 John Toohey died on Tuesday, 5 January 1869.